Hours later, the National Company Law Tribunal (NCLT) ordered the superseding of the IL&FS board and setting up of a new one. The government's dramatic takeover of the Infrastructure Leasing & Financial Services (IL&FS) group came within a day of a confidential Finance Ministry note that had warned that "the future impact of more defaults in the group may be catastrophic" for financial stability. "The replacement of the existing management by a new management would be the first step towards restoring confidence and to avoid any suboptimal liquidation of assets," said a letter from the Department of Economic Affairs to the Ministry of Corporate Affairs on Sunday (September 30). The confidence of the financial market needs to be restored and the "present management has lost all credibility," said the letter, seen by NDTV. Hours later, the National Company Law Tribunal (NCLT) ordered the superseding of the IL&FS board and setting up of a new one, which includes India's richest banker Uday Kotak. 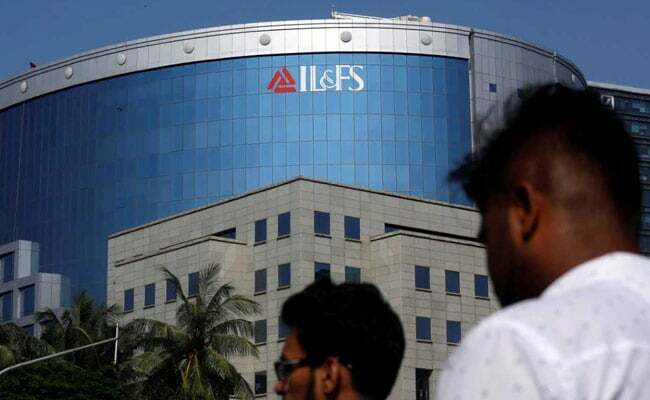 The letter reveals that the Risk Management Committee of IL&FS, which is expected to alert the board about problems ranging from credit risk to compliance to enquiry by government agencies such as SEBI (Securities and Exchange Board of India) and RBI (Reserve Bank of India), never met after July 2015, even as the company's finances kept tumbling. The Department of Economic Affairs blamed the company board, saying it failed to make sure that the risk management committee was functioning. "The risk management functioning of the committee remained impaired and ineffective. This is a critical lapse in the functioning of the board management and governance," the department said in its letter. The risk management committee of the company includes Hemant Bhargava (chairman), RC Bhargava, Michael Pinto, and Arun Saha (Joint Managing Director and CEO), according to the annual report 2017-18. The department proposed an immediate change in the board of the company to undo the financial mess, after which the Ministry of Corporate Affairs moved the tribunal in Mumbai on Monday. IL&FS has a debt pile of over Rs 91,000 crore. In its petition to the tribunal, the ministry said, "The present board is merely a parasite on public funds which they have misutilised by drawing hefty packages." The group, for the financial year 2017-18, has shown a loss of Rs 2,670 crore and its borrowing, which stood at Rs 91,000 crore, is 13 times its equity and reserves - Rs 6,950 crore. This, the Department of Economic Affairs said, amounted to mis-governance. The government said the IL&FS group was critical to financial stability as its total exposure to the non-banking financial sector is 16 per cent and it is a core investment company. IL&FS has 169 group companies, of which only three entities are listed. Due to a lack of proper information about the subsidiaries, rating agencies initiated multiple downgrades on IL&FS, which prompted asset management companies to make quick adjustments, leading to a liquidity crunch. "Governance and management change is required to bring back the company from financial collapse..." the letter said.